Richard Mayson is best known as a wine writer who has specialised in Portuguese wines for over two decades. In the late 1980s he identified the potential of Portalegre, a small sub-region in the Alentejo, to produce great wines. It took many years of searching for him to find the right property, but in 2005 he finally embarked on his own winemaking venture when he found and bought Quinta do Centro and established a winemaking company, Sonho Lusitano, with Rui Reguinga. Reguinga is originally from the Ribatejo and started his winemaking career in 1991. Initially he worked at the Portalegre co-operative and then with the well known Portuguese winemaker João Ramos. He then formed his own winemaking consultancy, advising properties in Portugal and as far a field as Argentina. Quinta do Centro can be found on the border of the São Mamede Natural Park on the slopes of the Serra de São Mamede at 500-560 metres above sea level (the Serra de São Mamede rises to over 1000 metres above sea level and is the highest point in Southern Portugal). The DOC of Portalegre has a unique terroir that sets it apart from the rest of the Alentejo. Here the rainfall is higher than the average for the rest of the Alentejo, with 600mm or more being the norm (400mm is the average for much of the Alentejo). The soils are made up of schist and granite, with the latter dominating at Quinta do Centro, making for rocky, well drained vineyards that are situated in a shallow valley. 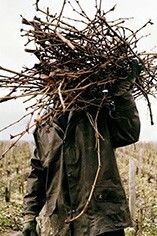 Another point of difference is the fragmented nature of the vineyards. The estate covers 20ha, of which 12.5ha are planted and only 10ha are currently in production – the rest of the land is given over to olive tree and cork oaks. The main grape varieties planted are Trincadeira, Aragonez, Alicante Bouschet and Grand Noir, as well as a small area of Cabernet Sauvignon. In 2007 they added some Touriga Nacional and Syrah, as well as a small amount Viognier. It was in the same year that they used the new, state of the art winery that they built on the property.